If you ever have any questions regarding BlytheLife.com or concerns regarding your information and how it is used, please contact Michelle (the administrator) at blythelife@gmail.com. BlytheLife.com believes in protecting the privacy of children. 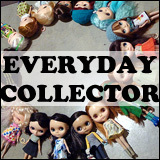 While Blythe originated as a child’s toy in 1972, today it is considered be to a collector’s item for adults. BlytheLife.com does not knowingly collect or maintain the information of those that we believe are under the age of majority in the country that they are located in. For those under the age of majority, we ask that you seek parental or guardian permission prior to accessing BlytheLife.com, commenting on any part of the website and/or entering any and all contests held at BlytheLife.com. BlytheLife.com is a WordPress blog. For commenting purposes, we require a name and an email address. Your email address will not be published without prior permission. Your IP address that was used to access the site will also be recorded on comments but is not visible to the public and will not be used for identifying you on the website. For contest entries, some entry methods require a Twitter account or an active blog. That information is considered public after you publish it in a comment on BlytheLife.com. BlytheLife.com reserves the right to delete comments if it is spam, duplicate posting or comments for extra entries in a contest being run on BlytheLife.com. Any comments made on BlytheLife.com may be republished, declared as spam, approved or hidden. 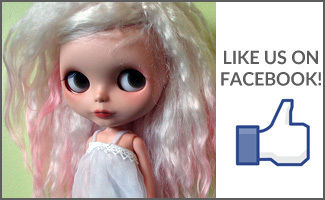 If you win a contest/giveaway on BlytheLife.com, your email address and name used in your comment(s) will be shared with the person(s) sponsoring the giveaway. The sponsor(s) is responsible for contacting you to arrange customization or shipment of the prize(s) involved. BlytheLife.com includes links on this site for you use and reference. 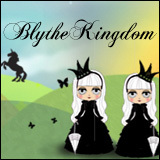 BlytheLife.com is not responsible for the privacy policies on these other sites. The third party websites linked are considered to be relevant at the time of publishing. You should be aware that these sites may have differing privacy policies as well as different methods of collecting visitor information. The contents of this statement may be altered at any time, at the discretion of the administrator. Last Modified: February 17, 2011.